Build a stunning Washington DC inspired charm bracelet with beads reflecting everything great about this great city including the political parties, the American flag, Cherry Blossoms, the Redskins, pandas, and more! 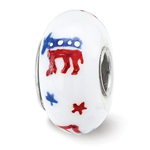 The Washington DC Gift Shop presents the Sterling Silver Reflections Hand Painted Patriotic Democrat Glass Bead. 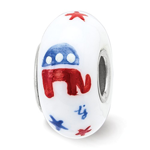 The Washington DC Gift Shop presents the Sterling Silver Reflections Hand Painted Patriotic Republican Glass Bead. The Washington DC Gift Shop presents the Sterling Silver Reflections Hand Painted Support Our Troops Glass Bead. Washington DC Gift Shop presents to you the Sterling Silver Reflections Hand Painted Heavenly Messenger Glass Bead. Sterling Silver Reflections Hinged Clasp Bead Bracelet: Hinged Clasp Bead Bracelet is made from Sterling Silver alloy. It has purity of 925. It has attractive reflections. Order Now !!! Sterling Silver Reflections Kids Bead Bracelet: Bracelet has antique finish. It has attractive reflections. Kids bead bracelet is well designed. Fancy lobster bracelet is well polished. Order Now !!! Sterling Silver Reflections Black Leather Bead Bracelet: Black lobster leather bead bracelet is made from Sterling Silver. It has purity of 925. It has attractive reflections. The bracelet is beautifully designed. Order Now !! Sterling Silver Antiqued University Of Virginia Collegiate Bead: Antique finish bead has opening diameter of 4 mm. Well polished bead is made up of Sterling Silver alloy. University of Virginia Collegiate Bead has purity of 925. It is reversible solid in 3-D.
Sterling Silver Antiqued Georgetown University Collegiate Bead: Reversible well polished bead is made from Sterling Silver alloy. It has opening diameter of 3 mm. It is enameled solid in 3-D. Order Now!!! Sterling Silver Antiqued Washington Nationals MLB Bead: Washington Nationals MLB bead is made from Sterling Silver alloy. It has opening diameter of 3 mm. It is well polished solid in 3-D. It is reversible and has antique finish. Sterling Silver Reflections Swarovski Star Bead: Well Polished Star shaped bead is made up of Sterling Silver alloy. Swarovski elements are beautifully embedded. It has purity of 925. Bead has attractive reflections. Order Now!!! Sterling Silver Reflections Enameled Stars Bead: Enameled Star bead is made from Sterling Silver alloy. It has attractive reflections. It has opening diameter of 4 mm. Well polished bead has antique finish. Sterling Silver Gold-Plated Reflections Star Bead: Gold Plated Star bead is made from Sterling Silver alloy. It is well polished and has sophisticated antique finish. It has beautiful design and attractive reflections. Buy now !!!! Sterling Silver Reflections W/Rubber Spacer Bead: Well polished bead is made from Sterling Silver alloy and rubber. It has attractive reflections. With rubber spacer bead is beautifully designed. Order Now !!! Sterling Silver Reflections Scalloped Spacer Bead: Antique finish bead with attractive reflections is made up of Sterling Silver alloy. Scalloped Spacer bead has purity of 925. Its opening diameter is 4 mm. Order Now !!! Sterling Silver Reflections Notched Spacer Bead: Antique finish bead is made up of Sterling Silver alloy. It has attractive reflections. Notched Spacer is beautifully designed. Order yours today !!! Sterling Silver Pink Crystal Awareness Ribbon Bead: Attractive Pink Crystal ribbon shaped bead is made from Sterling Silver alloy. It has purity of 925. Sterling Silver Reflections Pink Flower W/Swarovski Elements Bead: Pink Flower shaped bead is made up of Sterling Silver alloy. Swarovski Elements are embedded in it. Pink enameled bead is well polished. Sterling Silver University Of Virginia Collegiate Enameled Dangle Bead: Well polished dangling bead is made from Sterling Silver alloy. It is beautifully enameled. It is double sided enameled bead with University of Virginia collegiate. Sterling Silver Reflections Uncle Sam Tophat Bead: Uncle Sam TopHat shaped bead is made from Sterling Silver alloy. It has antique finish. With opening diameter of 4 mm, it is well polished. Hurry !!!! Sterling Silver Reflections Circle W/Stars Bead: Antique finish bead is made from Sterling Silver alloy. It has attractive reflections. It has opening diameter of 4 mm. Circle and stars are casted into bead. Sterling Silver Reflections Pink/Red Enameled Purse Bead: Well polished enameled bead is made up of Sterling Silver alloy. it has opening diameter of 4 mm. It has shape of purse. Read and pink color looks great on it. You will not afford to miss it !!! Sterling Silver Reflections Orange Full Swarovski Elements Bead: Well polished bead is made up of Sterling Silver alloy. Orange Swarovski crystals are embedded in it. It has opening diameter of 4 mm and is well polished. Sterling Silver Antiqued University of Maryland Collegiate Bead: Well polished 3-D solid bead is made up of Sterling Silver alloy. It has opening diameter of 4 mm. It has purity of 925. Sterling Silver Reflections Star Bead: Well polished bead is made up of Sterling Silver alloy. It has antique finish. Star is beautifully casted. It has attractive reflections. 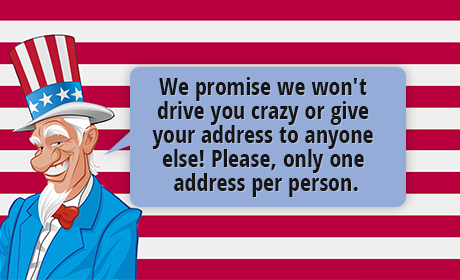 Hurry !!! Sterling Silver Reflections Crimson Full Swarovski Elements Bead: Well polished bead has opening diameter of 4 mm. It is embedded with Swarovski elements. Crystals are crimson in color. Rush to get yours !!! Sterling Silver Enameled Washington Redskins NFL Bead: Well polished 3-D bead is made up of Sterling Silver alloy. Enameled Redskins. It is reversible and has opening diameter of 4 mm. Sterling Silver Antiqued Baltimore Orioles MLB Bead: Well polished solid bead is available in 3-D. It is made from Sterling Silver alloy. The bead is reversible. It has antique finish. Sterling Silver Reflections Swarovski LOVE Bead: Hey, here is well polished bead is made up of Sterling Silver bead. It has attractive reflections. It has Swarovski Elements embedded in it. LOVE is beautifully casted and has opening diameter of 4 mm. Sterling Silver Reflections Medium Blue Full Swarovski Elements Bead: Swarovski Crystals Bead is well polished. 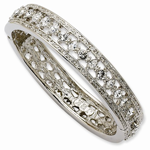 It is made up of Sterling Silver alloy. It has attractive Blue stones embedded in it. Hurry to grab it !!! Sterling Silver Reflections Dark Blue/Navy Full Swarovski Elements Bead: Swarovski Elements Bead is well polished. It is made up of Sterling Silver alloy. 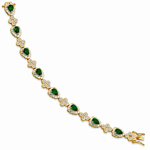 It has attractive navy stones embedded in it that you cannot afford to miss it. It has opening diameter of 4 mm. Sterling Silver Reflections Scarlet Double Row Swarovski Elements Bead: Double Row Swarovski Elements Bead is well polished. It is made up of Sterling Silver alloy. It has attractive red stones embedded in it that you cannot afford to miss it. 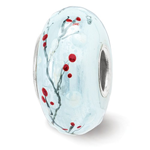 Sterling Silver Reflections Red/White/Blue Italian Murano Glass Bead: Antique finish bead is made up of Sterling Silver alloy. It is well polished and has opening diameter of 4 mm. Italian Murano Glass bead has purity of 925. Sterling Silver Reflections Red Swarovski Elements Heart Bead: Hey, here is Swarovski elements heart shaped bead. It has attractive reflections. Red crystals are beautifully embedded into Sterling Silver alloy. Sterling Silver Red Enameled Heart Reflections Bead: Well polished bead has antique finish. It is beautifully enameled with red color. Well polished heart shaped bead has opening diameter of 4 mm. Sterling Silver Reflections Blue Double Row Swarovski Elements Bead: Small brilliant fancy Swarovski blue stones double row bead has diameter of 4 mm. Well polished Sterling Silver is beautifully designed. It has attractive reflections. Sterling Silver Reflections Star w/Loop for Click-on Bead: Well polished bead has attractive reflections. It has beautiful shape of star on it. Antique finished bead is made up of sterling silver alloy. Sterling Silver Reflections Baseball, Bat & Glove Dangle Bead: Dangling Baseball bat & Glove bead is made up of Sterling Silver. It has sparkling reflections with opening diameter of 4 mm. Well polished bead has sophisticated antique finish. Sterling Silver Reflections Cheerleader Bead: Hey !! here is Cheerleader bead made up of Sterling Silver alloy. It has purity of 925 and opening diameter of 4 mm. It is well polished and antique finished. This bead has attractive reflections. Sterling Silver Reflections Football Bead: Hey !! Here is well polished bead made up of Sterling Silver alloy. It has beautiful antique finish with opening diameter of 4 mm. Sterling Silver Antiqued Washington Redskins NFL Bead: Washington redskins NFL well polished Sterling Silver bead available in 3-D. It is reversible solid. It has attractive antique finish that you cannot afford to miss it. Sterling Silver Reflections Heart Flag Bead: Heart shaped bead has flag on it. It has purity of 925 with antique finish. It is made up of Sterling Silver alloy. Sterling Silver Reflections USA Flag Bead: Antique finished bead made up of Sterling Silver alloy has opening diameter of 4 mm. 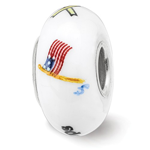 USA flag enameled bead is well polished. It has purity of 925. Sterling Silver Gold-plated Reflections Crab Bead: Gold plated bead is made up of Sterling Silver / GP. It has sophisticated antique finish. Well polished bead is yellow in color and has purity of 925. Sterling Silver Reflections Black Enamel Mama Panda Bead: Black enameled bead is made up of Sterling Silver alloy. Panda like bead is well polished with antique finish. Sterling Silver Reflections Elephant Bead: The white alloy of Sterling Silver has purity of 925. It has antique finish with diameter of 4 mm. Well polished bead has shape of an Elephant. Sterling Silver Reflections Turtle Bead: It is made up of Sterling Silver alloy. Turtle like bead has attractive reflections. Antique finish makes it more precious. Sterling Silver Reflections Crab Bead. With Antique finish, white colored bead is made up of Sterling Silver alloy. It is well polished and has attractive design. Sterling Silver Enameled Baltimore Ravens NFL Bead. Reversible solid bead made from Sterling Silver. The enamel white bead is in 3-D. It is well polished with the purity of 925. Sterling Silver Reflections Baseball Bead. Well polished baseball bead with sparkling reflections. With an opening diameter of 4mm, It has sophisticated antique finish.